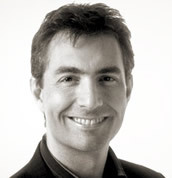 John Morris has 25 years’ experience in the Media industry, with a record of success in all aspects of the exploitation of audio-visual-based rights. He has hands-on experience across every genre, and across every platform, extending from TV through home entertainment, publishing, consumer products and new media. He has built and managed teams in sales, operations and acquisition/IP investment, has been a member of several operating boards and has led start-up operations as well as expanded existing businesses. From 2006-2008 John was MD of Sparrowhawk Distribution Limited, the rights company owned by Sparrowhawk Media (an equity-backed buy-out of Crown Media’s international TV assets, including the Hallmark Channel international). Previously John worked in senior executive roles for BBC Worldwide, HIT Entertainment Plc, RTL Disney (Super RTL), and IMG/TWI Media. John started his media career in advertising for Marketing Week magazine and subsequently joined Granada TV International in 1986. He has a BA in Politics from the University of Wales, an MA in Political Science from Pennsylvania State University, and is fluent in German.